L, top to bottom: Bio TATS CRU, NICER & BG183. R, top to bottom: Spencer Herr, Original GEE & Ralston Fox Smith. We are super excited for Saturday, which is the launch of the next show that we are helping out with! Klim Kozinevich, owner of Bigshot Toyworks and creator of the All City Style 20-inch DIY trains, managed to pull together an absolutely ALL-STAR crew of artists for this show, which he dubbed The Grand Slam. 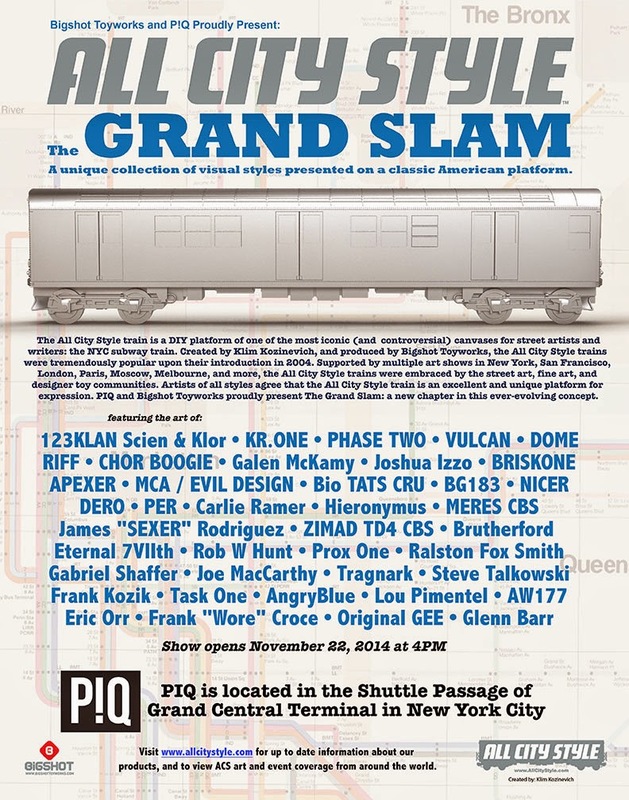 Graffiti legends, designers, and artists of all stripes all exhibiting together at PIQ in Grand Central in NYC! RSVP to the show here on Facebook or just drop by PIQ at 4PM on Saturday November 22nd to check out the trains. If you can't make it to NYC for this show, make sure you are following All City Style on Facebook and on the All City Style website. There will be many more ACS shows popping up around the world, as the next batch of All City Style trains are set to hit US shores in early December. Ask your favorite retailer to stock All City Style! 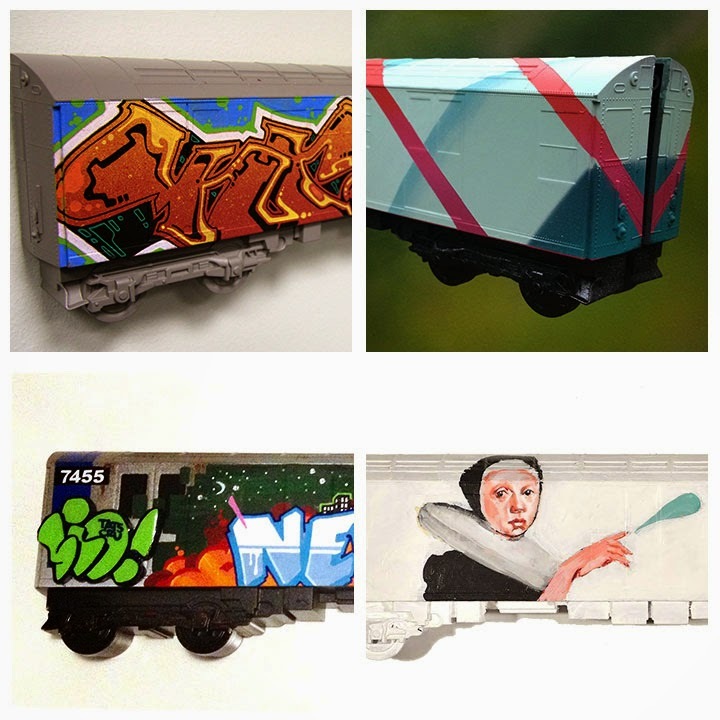 Till Saturday, we leave with with the video below of some of the trains Original GEE had painted in the past... chalk another one up for this legendary artist! 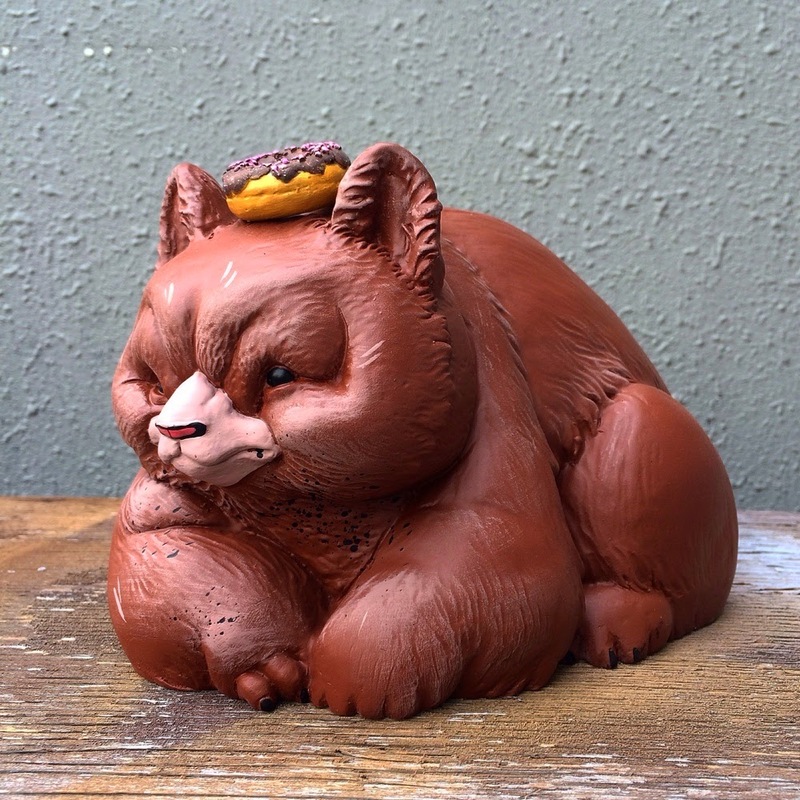 Available now from FLABSLAB is the Killer Donut Choco Bear edition by Angry Woebots. Created as an homage to J. Dilla, Killer Donuts first released during SGTCC, in the OG Angry Woebots colorway. The latest release is this Choco colorway. 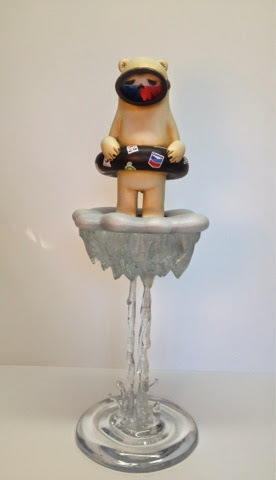 All of the Choco Killer Donut's were painted by Angry Woebots during his short stint in Singapore a few months back. 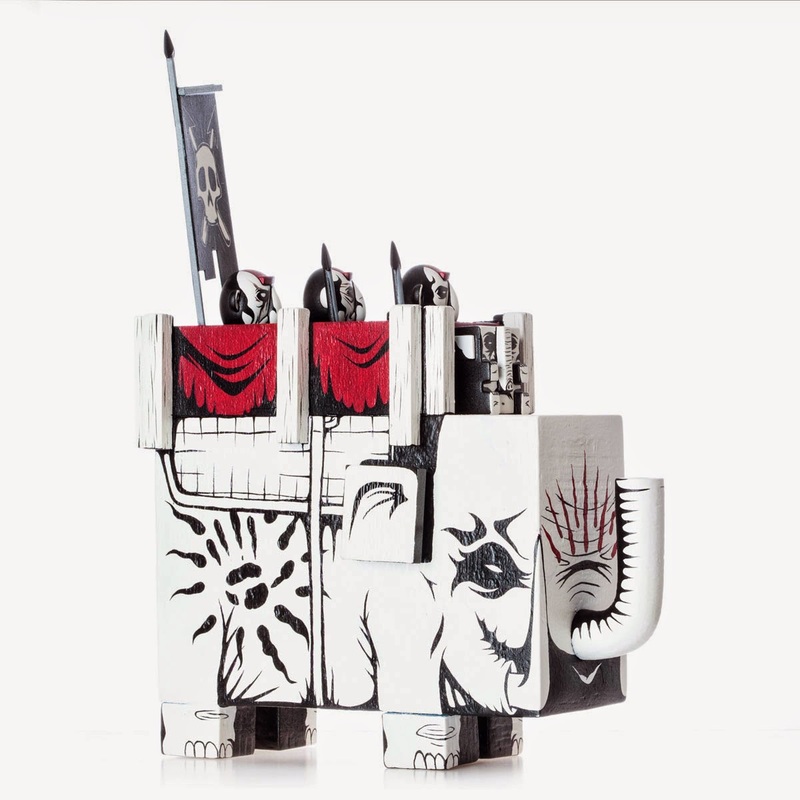 Priced at $300 plus shipping, these massive pieces will go great in any collection. 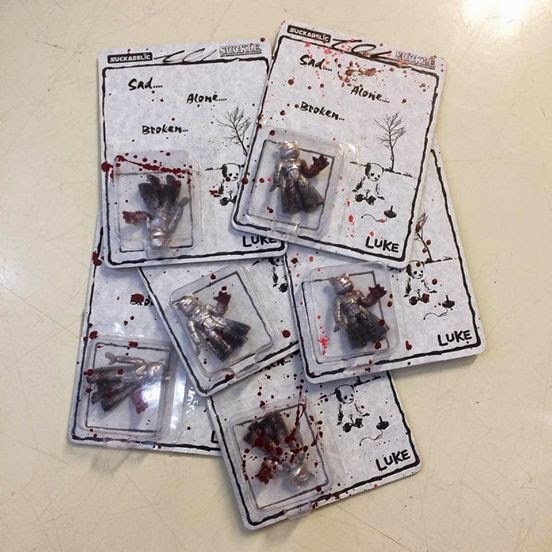 These are limited to just 20 pieces, so be sure to pick one up now, before they hibernate forever. Fans of Jeremy Fish can now purchase some Jeremy Fish Moc Toe Shoes from Upper Playground. On sale for only 48 hours, starting at 3PM PST on November 17th, these individually hand made shoes are created by the legendary shop Al's Attire. 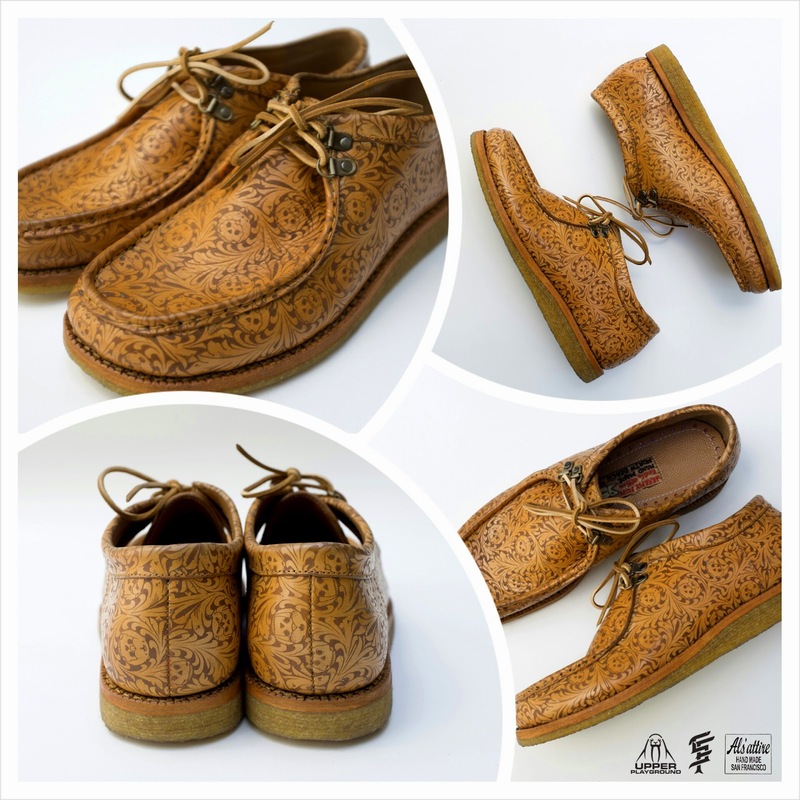 Using premium cowhide, Jeremy Fish's design has been laser etched into the hide, creating a unique pair of shoes. Priced at $389 a pair, those who actually want to wear these shoes have to be able to fit within a small range of US Men's shoe sizes: 9.5-10-10.5-11. The lead time on these shoes are said to be 6-8 weeks, so those expecting to be able to purchase these as a gift for the holidays may have to keep that in mind. The great people over at Prints on Wood are giving away one of the sold out BOBA Wood Prints, image created by Luke Chueh. With a winner being announced on November 18th, time is running out to enter. This giveaway is through Instagram, so unfortunately, only Instagram users can participate. 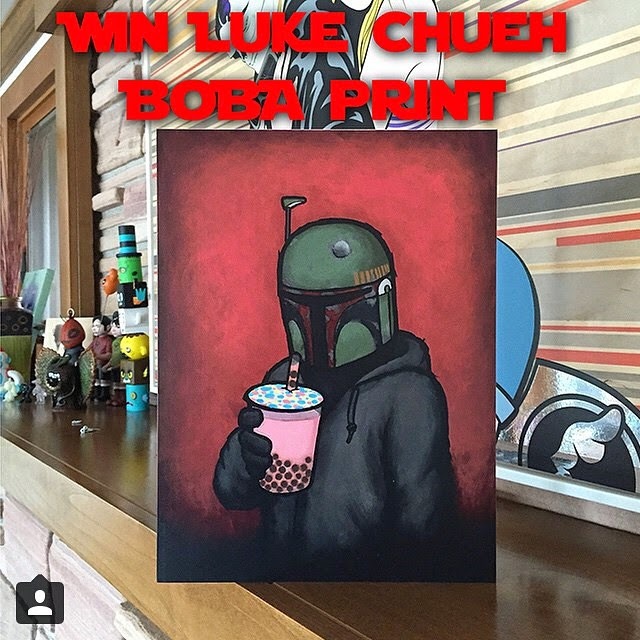 Again, a winner will be announced on November 18th, who will receive this limited edition 8"x10" wood print of Luke Chueh's Boba painting, created by Prints On Wood. Good Luck! Luke Chueh has teamed up with Singapore based FLABSLAB to create BOBA! 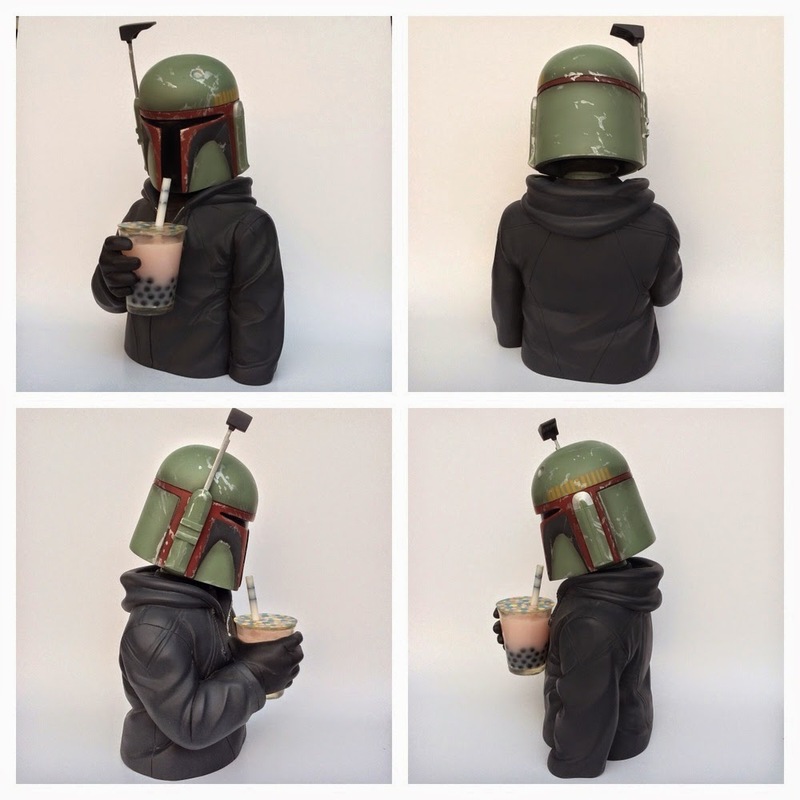 Inspired by one of the universe's most famous Bounty Hunters and a delicious beverage, BOBA is a resin sculpture of Star Wars' Boba Fett character enjoying a drink of Boba (aka Bubble Tea). Luke Chueh originally created this representation as a painting, which was later turned into more affordable prints. Lately, Prints on Wood was able to create a small run of 100 wood prints for Designer Con 2014, which has since sold out. 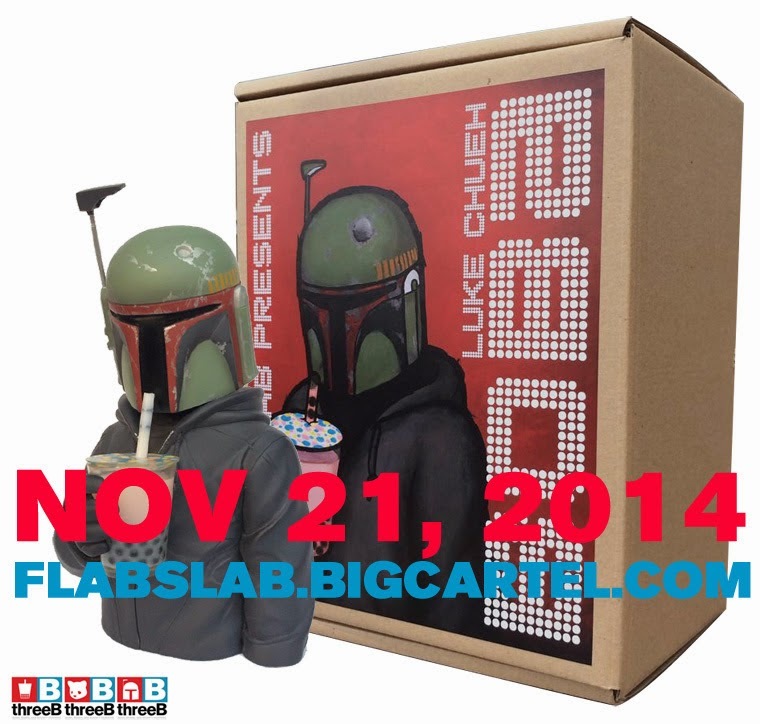 FLABSLAB was tasked to create BOBA in 3D and will be releasing this limited edition sculpture on November 21, 2014. 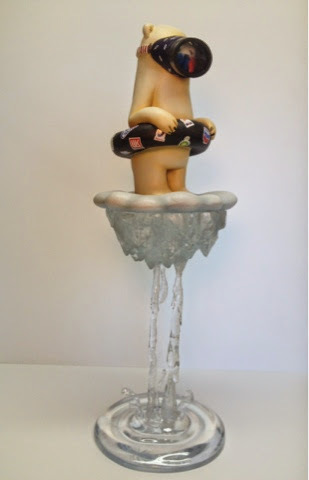 Priced at $300USD/SGD380, BOBA sits around 9.5" tall. Now, for those Boba Fett aficionados out there, Boba is not 100% accurate by design(or by accident, does it matter?). FLABSLAB will be having a launch event on November 21st, in Singapore. 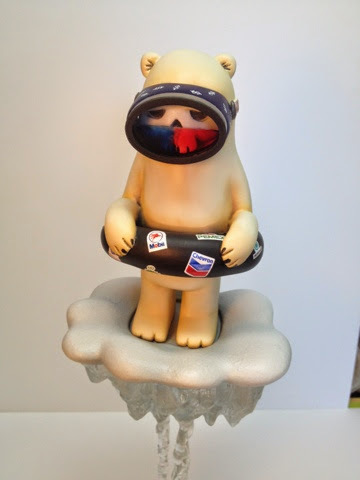 Luke Chueh will be in attendance and has brought some goodies along with him for attendees to purchase. 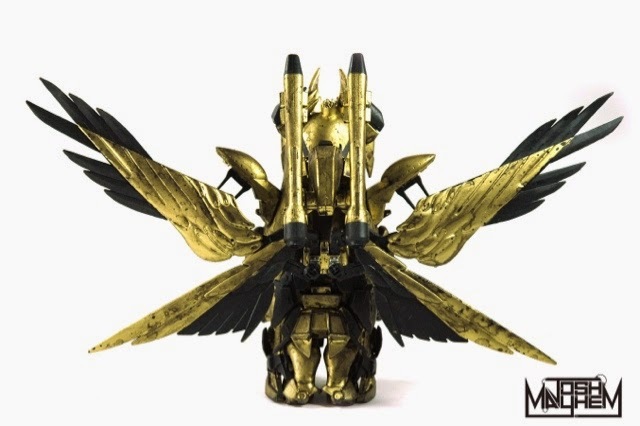 For all those not in Singapore and interested in purchasing BOBA, any leftover pieces will be made available for purchase online for $300 plus shipping, around November 24th. Jon-Paul Kaiser just finished a short stint in Southern California, hitting up Designer Con 2014 and even attended the opening reception of his "Unamerican Activity" art show at Toy Art Gallery. As always, Jon-Paul's work is traveling just like he is. Jon-Paul's latest completed commission to reach it's owner is a custom what-did-I-eat-ephunt by Amanda Visell, called War Elephant. 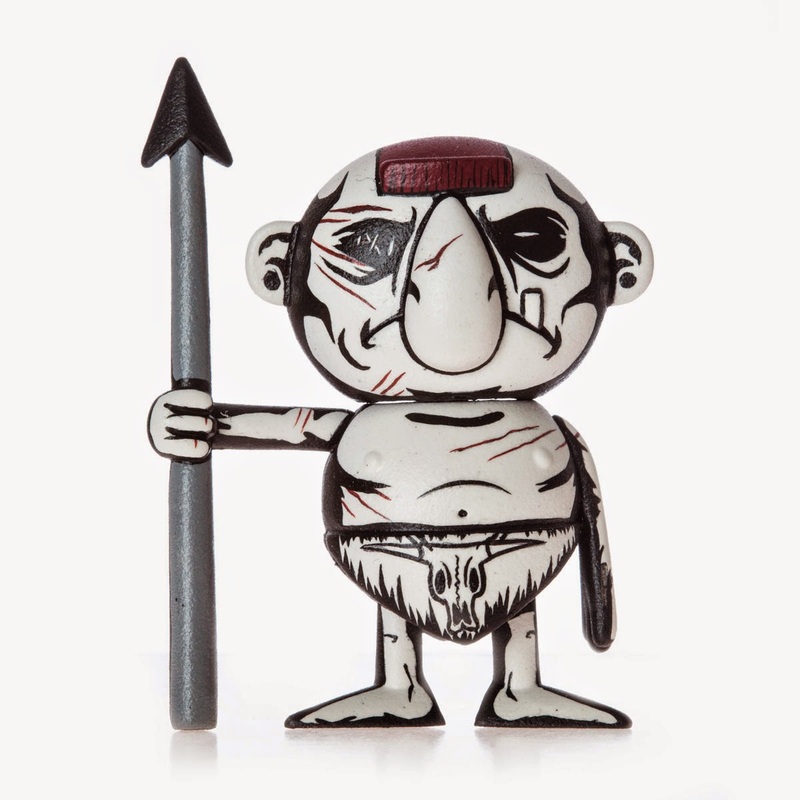 Combined with a few of the Cavemen from Amanda's Tic-Toc Apocalypse series, Jon-Paul was able to create a wonderful piece, using pieces designed by a single artist. 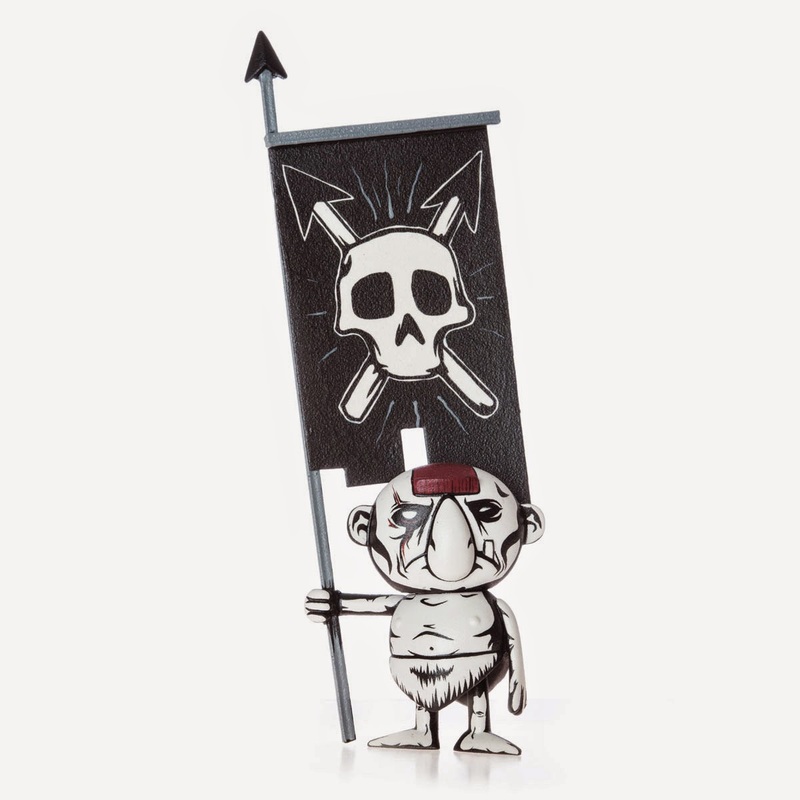 Jon-Paul crafted a wood-built howdah on top of the elephant to house the crew of 3 Caveman and elephant mascot. 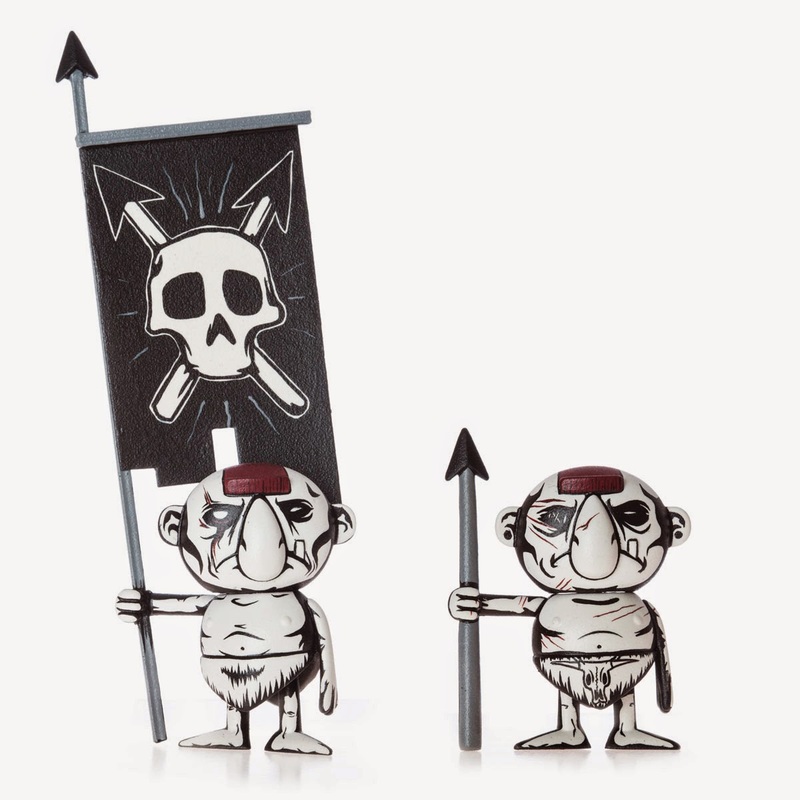 Two of the Caveman sport a spear, while the third was given a banner, to give the entire piece a more epic appearance. Utilizing clean and expertly painted shadows and lines, each individual piece was given the JPK custom touch. 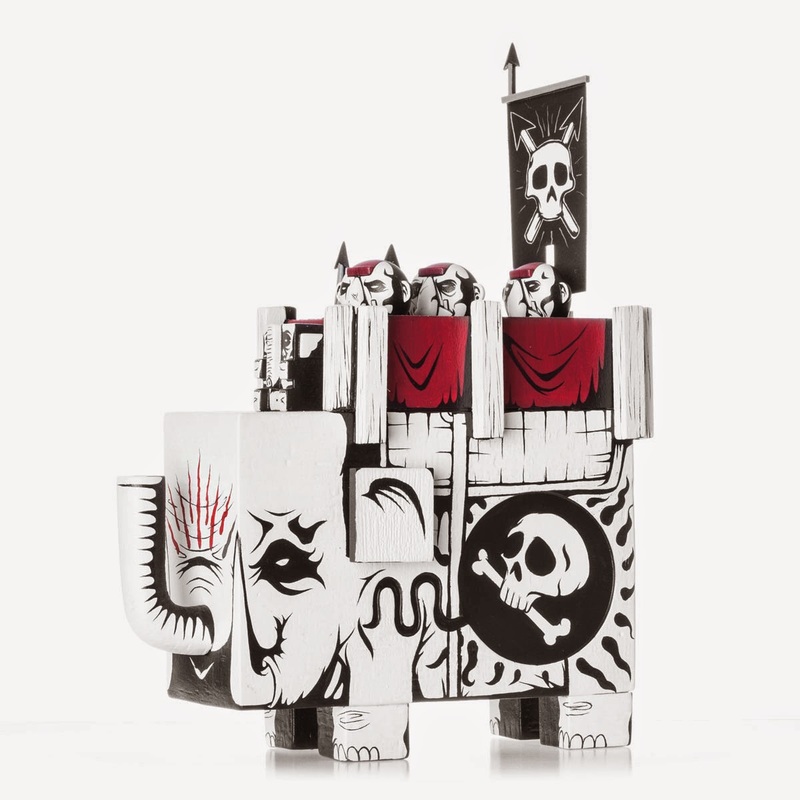 The War Elephant should make the lucky collector pretty happy. All of the wonderful photos were taken by Justin Allfree. For those wanting to get a commission from Jon-Paul Kaiser, be sure to contact him through his website and get the ball rolling. Jordan "Riser" DeVries took part in the Urban Vinyl Daily group show with his customized JC Rivera's Dead As F*ck Bear titled "The Polarized Polar Bear. 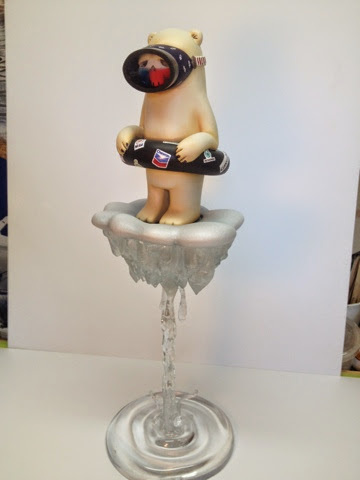 A ton of work was put into the awesome base, rather than into the resin Bear Champ, creating a pretty kinetic feeling custom piece. 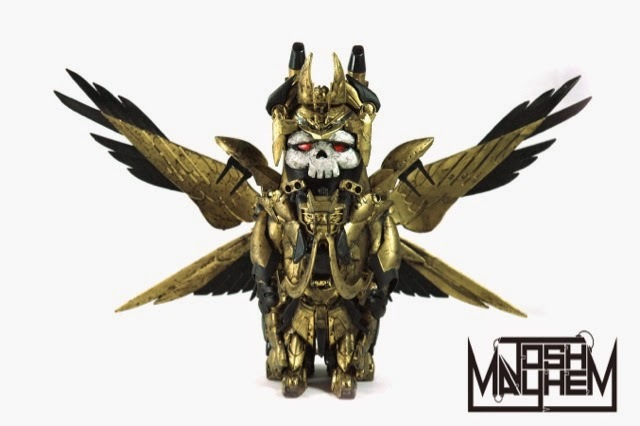 Riser took a simple approach to customizing the Bear Champ, essentially completing the Champ to go with the created base. Riser did some great work with the floaty and facemask the Champ has on, while having some awesome details in the form of corporation stickers on the floaty. 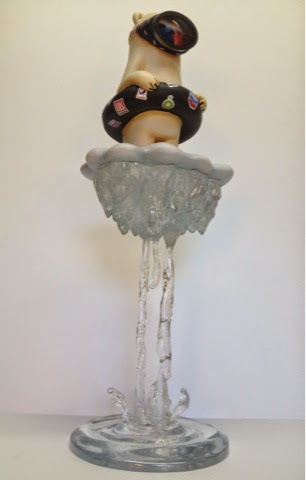 Unfortunately for most collectors, this piece is already sold. 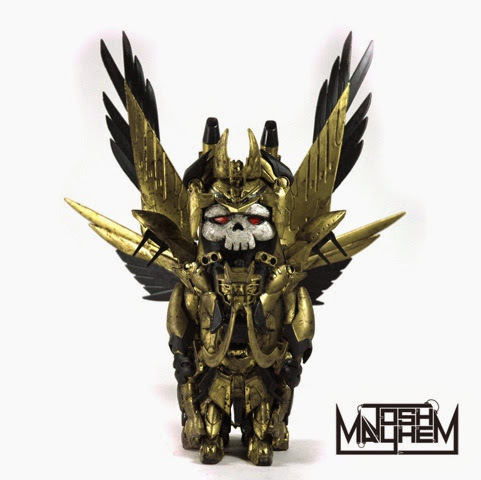 There are several pieces from the show up at the Urban Vinyl Daily store, be sure to check out the rest of the available pieces before they are all gone. 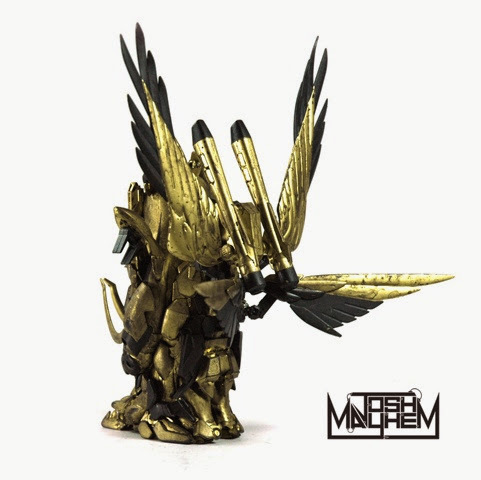 Designer Con 2014 had a bunch of great artists exhibiting and even a custom show put on by Urban Vinyl Daily. 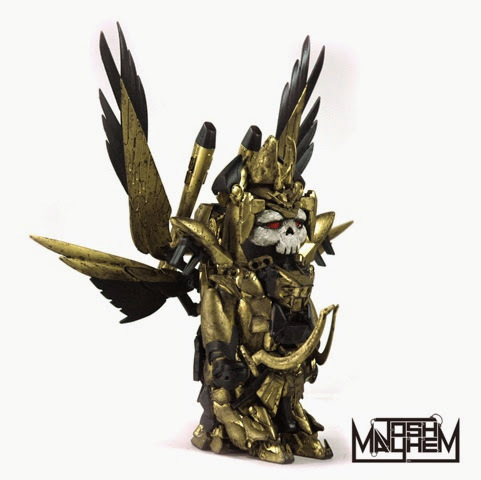 Featuring the Dead as F#ck Champ, designed by JC Rivera, Urban Vinyl Daily held the custom group show at Designer Con 2014. 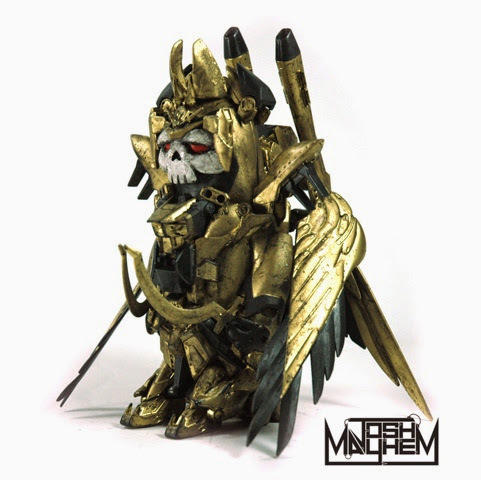 Josh Mayhem's piece consists of a great black and gold armor clad custom Dead as F#ck Champ. 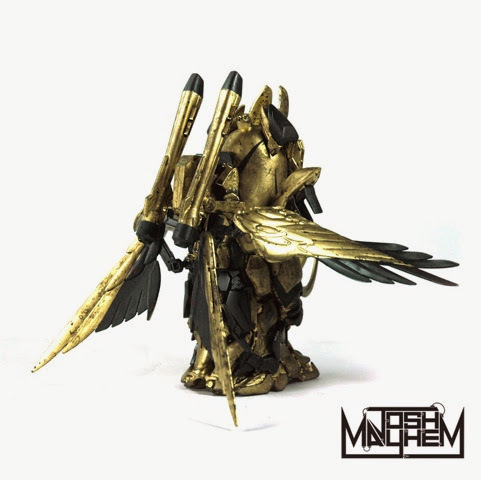 Resembling the armor typically seen with Gundam models, Josh's "Mech-Azreal Champ" also features the movable wings and extra appendages. This piece has been sold, but there are still a good number of custom Champ's available through Urban Vinyl Daily's online store.